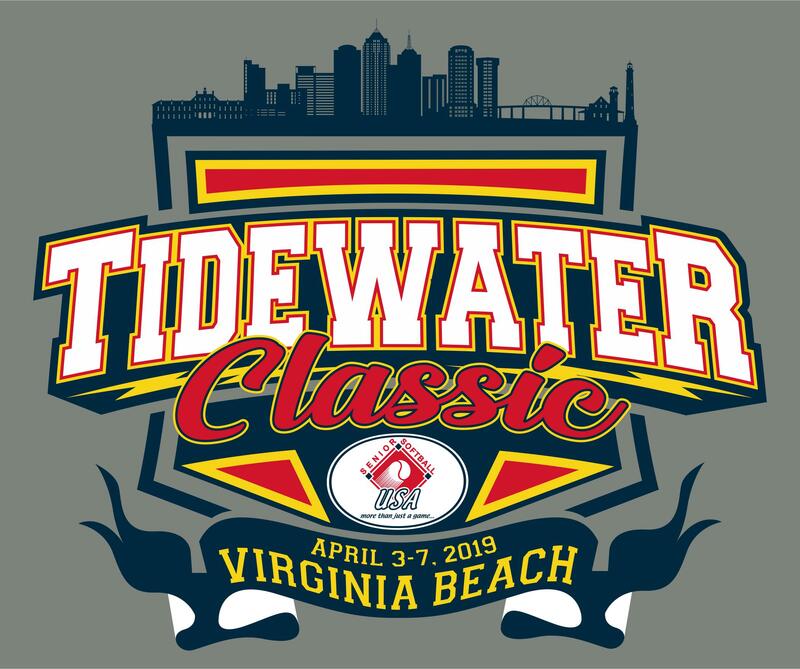 VIRGINIA BEACH, VA - The fifth annual Tidewater Classic, held here at Princess Anne Athletic Complex, April 3-7, hosted 43 teams across 11 divisions. 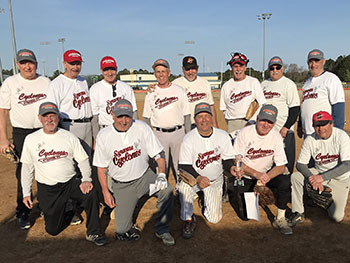 The tournament began with the Men’s 65 through 75 age teams in action. 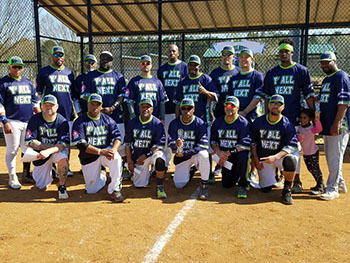 In the Men’s 65 Platinum Division, Northern Virginia Force bested New Jersey Hitmen in a head-to-head, two-out-of-three game series. No. VA Force took game one 28-12, before NJ Hitmen evened things up with a thrilling 21-20 win. In the end, the Force would cruise to a 20-9 win in the rubber match to take the division. The three-team Men’s 65/70/75 Silver Division saw top seed Syracuse Cyclones 70 (NY) avenge its 22-17 loss in the championship game against Long Island Jaguars 75 (NY), with a 17-10 win in the “if” game. Robinson’s/OTE 65 (DE) finished in third place. In the four-team Men’s 65/70 Gold Division, a three-game round-robin was used to determine the champion. There would be three-way tie for first, as Long Island Jaguars 65 Red (NY), Talaga Construction 65 (CT), and Northern Virginia Force 70, all finished with a 2-1 record. The tie-breaker came down to aggregate runs allowed in games involving the three teams. Allowing the fewest runs at 21, Long Island Jaguars earned the tiebreaker to take home the division championship. Talaga Construction (26 runs) and No. VA Force (35 runs) rounded out the top three finishers, going second and third, respectively. Syracuse Cyclones 65 (NY) finished in fourth place going 0-3. The tournament continued with the second session, Men’s 40 - 60, beginning play on April 5. 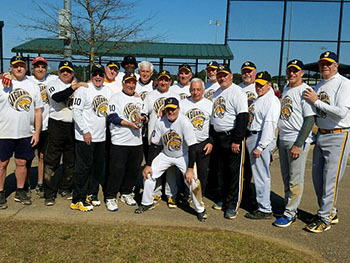 Showing the growth of the 40’s program on the East Coast, particularly in the Mid-Atlantic Region, the Tidewater Classic set a tournament-record with 11 Men’s 40s teams. In the seven-team Men’s 40 Major Division, LB/Spirits West/SMC (MD) posted a perfect 4-0 record in bracket play, capped off by a 13-6 win over PA Posse (PA) in the championship game. 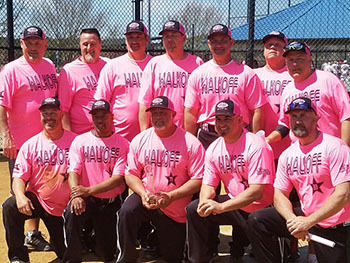 After dropping their first game in the bracket, Hatch’s Home Improvement (MD) rattled off three straight wins, en route to their third-place finish. The four-team Men’s 40 AAA Division would see an “if” game played, as top seed Live! Casino (MD) came out of the elimination bracket with an 18-16 win over Mission: Possible (PA) in the third-place game, before knocking off Y’All Next (MD), 28-25, in the championship game. In the winner-take-all final, Y’All Next avenged its championship game loss, with a 21-18 victory. Y’All Next defeated Live! Casino by an identical 21-8 score earlier in the bracket, to advance to the championship game. 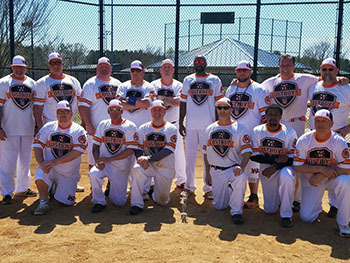 In the five-team Men’s 50 Platinum Division, RV Carey’s/Walkoff (MD) went through bracket play unscathed, going 3-0, including a 20-17 win over top seed Team Dudley/East Coast (MD) in the championship game. Going 0-2 in seeding play, Team 757 (VA) rebounded with a 3-2 record in bracket play, en route to a third-place finish. 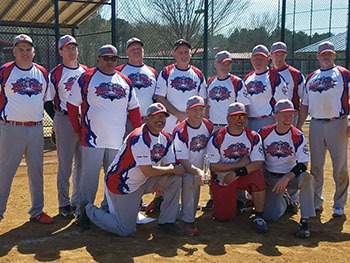 Top seed High Street Bucs (MD) won the five-team Men’s 50 AAA Division, going perfect on the weekend, posting a 2-0 record in seeding and a 3-0 record in bracket play, including a 16-8 win over Carolina Legends (NC) in the championship game. Finance of America (NJ) finished in third place to round out the top three finishers. In another five-team division, the Men’s 55/60 Platinum Division, Buell Fuel 55 (NY) and Carolina A’s 55 (NC) would need the “if” game to determine the winner. Buell Fuel, the No. 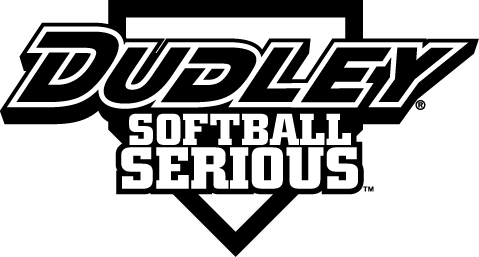 4 seed, punched its ticket to the championship game winning its first three bracket games, while Carolina A’s, who fell to Buell Fuel, 21-18, to drop down into the elimination side of the bracket, beat Woodlawn Funeral Home 55 (VA), 19-15, in the third-place game, to secure its spot in the championship game. 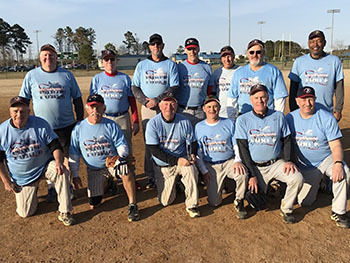 Carolina A’s earned a bit of revenge with a 21-14 win in the championship game over Buell Fuel to force the decisive rubber match; however, Buell Fuel would came back with a 21-14 victory of their own in the winner-take-all “if” game. Top seed New England Merchants 55 (MA) won the three-team Men’s 55/60 Gold Division defeating The Bank 60 (DE), 27-23, in the championship game, to cap off a 5-0 weekend. As the highest finishing 60 Major team, The Bank would earn a TOC berth for its division. Promotion 60 (NJ) finished in third place. Crossfit/Great Clips (NC) swept NoVa Storm (VA) by scores of 20-17 and 23-12 respectively to win the Men’s 60 AAA Division in a best two-out-of-three game series. 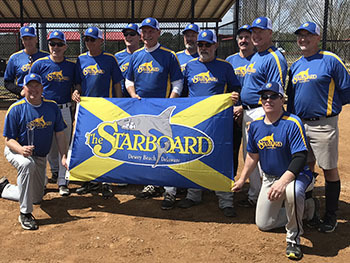 In the three-team Men’s 55/60 AA Division, The Starboard/OTS 60 (DE) claimed the top spot following its 12-6 win over Syracuse Cyclones 60 (NY) in the championship game. 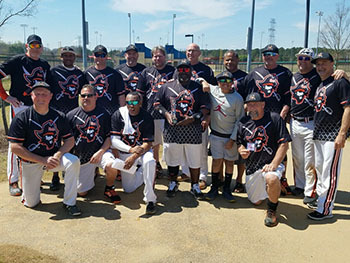 Longshoremen 55 (VA) finished in third place. For complete game-by-game scores, please CLICK HERE.